Cocaine is an addictive pain blocker extracted from the leaves of coca plant which is a native of South America. It is bitter and a strong stimulant that affects the central nervous system of the body. It is a white crystalline powder most often mixed with sugar and flour. Crack cocaine looks like a rock and is off-white or pink in color. Coca leaves are finely chopped and dusted with a carbonate salt or lime and a small quantity of water is added. 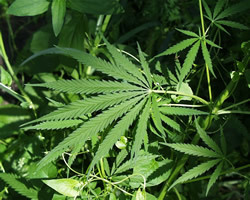 Subsequently kerosene or diesel is added to the mixture and stirred for a maximum of three days, removing the cocaine from the leaf. After extraction the resultant liquid is heated to remove the remaining wax from the coca leaves and then filtered. The remaining large amount of liquid is mixed with sulfuric acid iteratively to form cocaine sulfate. After some time the cocaine sulfate will separate which is then mixed with lime. This gummy, yellow solid is dried, packaged and shipped for refinement. In a normal brain, a chemical called dopamine is released by neurons which then bind to receptors in the brain called dopamine receptors. The dopamine is then recycled through the use of a special protein called a dopamine transporter. However, if there is cocaine in the body, it blocks this normal pleasure process, causing the dopamine to build up in the brain which contributes to the enhanced pleasurable effects thus causing addiction. Cocaine was first synthesized in 1855 and Sigmund Freud advocated and broadly promoted cocaine as a safe tonic that could cure depression and impotence. Cocaine also included as the main ingredient in Coca Cola. From the 1850’s to the early 1900’s, cocaine laced elixirs tonics were used by people of all social classes. Thomas Edison and actress Sarah Bernhart were two others that promoted the miraculous effects of cocaine elixirs. Coke, dust, toot, line, nose candy, snow, sneeze, powder, girl, white pony, flake, c, the lady, cain, neurocain, rock, crack are some of the street names for Cocaine. Prevalence of Addiction to Cocaine-who is addicted to the drug and is this type of addiction rising? According to the 2008 estimates by The National Survey on Drug Use and Health (NSDUH) there were 1.9 million cocaine users, of which approximately 359,000 were current crack users. 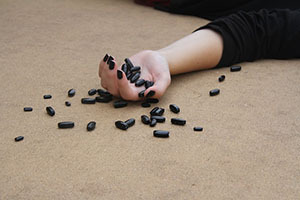 People in the age group 18 to 25 years have a higher rate of cocaine use. 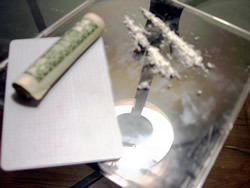 Men reported higher rates of cocaine use than women. Common signs of cocaine addiction are dilated pupils that are sensitive to light, runny noses, nosebleeds, damage to the inside of the nose, needle marks on arms and legs, syringes left around the place where cocaine was injected. Several physical and psychological symptoms manifest during withdrawal from cocaine. Some of them are strong cravings, anxiety, irritability, fatigue and exhaustion. To feel depressed, paranoid and suicidal are common psychological symptoms of cocaine withdrawal. 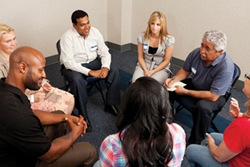 Essentials of cocaine rehab include inpatient or residential, out-patient therapy, sober living facilities and incorporation of 12-step programs.